Te Tii intends to contribute to a vibrant Ruatāhuna. It seeks to be a central hub which breathes new life into the village and uplifts the local community. It anticipates the arrival of manuhiri to experience a Tūhoe way of life, to spend time in Ruatāhuna and be introduced to Te Urewera. The new facility will accommodate a general store, the tribal office, café, gas station, motel, radio station, laundry, market place, playground, community garden and other inviting outdoor spaces. Tūhoe continue to lead in our approach to responsible development by treating waste water on site, day-lighting adjacent streams to improve the environment for ika, collecting rain water for use and generating energy by way of solar panels. Learn more about the design approach and specific features by reading on. A fire-rated archive room, designed to withstand a fire for 90 minutes, until a firefighter team from Wairoa can respond. The other main building within Te Tii is home to the store and café. The store will stock two major types of goods being food and general goods, and those for agricultural trade. Both areas, and the café, will be served by a central counter. The café allows seating for around 25 people and intends to become a hub where locals can meet regularly and manuhiri can visit and rest. A kitchen servicing the café is within this space. We intend to create a gallery function within the café, to create a changing atmosphere showcasing Tūhoe artists. Four chalets provide comfortable, private accommodation for people staying a night or nestling in for longer. The chalets come in different configurations catering to a variety of needs. There are two studio size chalets, with mezzanine; one chalet with a living space and separate bedroom and one whanau sized chalet with a living area and two bedrooms. The units all contain a small kitchenette. It’s not just people who will be able to re-charge at Te Tii. A gas station providing petrol and diesel through a 24 hour self-service pump. The stop will also provide air and water to vehicles. In a separate smaller building to the main structures, there are two toilets, including an accessible facility. This is at a central location to the chalets and the main buildings, being easily accessed from both ends of site. Within this building commercial laundry facilities are available to service those in motorhomes, staying at the chalets and for local marae use to save a long drive to other towns. The space itself can be conceived of as a korowai of mist weaving between the darker timber and steel-clad buildings, embodying the duality of Tūhoe at Ruatāhuna; the union of Hinepukohurangi and Te Maunga – a powerful connection to the natural world and the history of this place and its people. The space under the canopy is at the centre of the hub, therefore the qualities of this space are very important. By day people will gather, eat and sit here. By night the canopy becomes a marker of place, lit by the adjoining buildings without taking power to the canopy itself. A continuous layer of high-density insulation, laid on a metal base deck, with a metal top skin combines to create what we refer to as a ‘warm roof’. A warm roof has several advantages over a traditional roof, including less heat loss and cold coming in. It is more workable during construction as the base deck forms a continuous solid platform on which to work, and also provides shelter from rain while the roof is being completed above. The underside can form a ceiling where sound quality isn’t specific like in an office or radio station, so this is what we’re doing in the store. Solar panels sit atop the roof at Te Tii to convert sunlight into energy. Light energy hits the solar panels and excites the electrons in the atoms of a semi-conducting material, the movement of these electrons results in an electric current. If you’re interested to see how solar panels might work at your own whare, EECA ENERGYWISE has partnered with the EPECentre to create a solar calculator that can estimate how much value your household might get from solar. Rainwater from the main building roofs will be harvested for reuse. This will include: 10,000 L underground tank beneath the terrace in front of the buildings and twin 22,500 L header tanks located on ridge to east of site. Rainwater is only expected to supply approximately 60% of the total estimated demand, so a connection to mains supply is provided to ensure continuity. Even if you're connected to a mains water supply, you could consider using rainwater for your garden or for other household uses. This could reduce your demand on mains supply which is particularly enticing if water charges apply in your area. 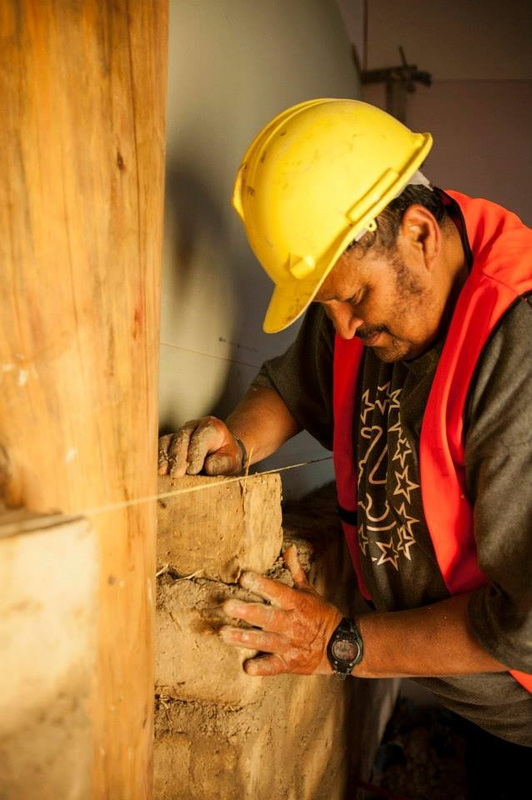 The Manawarū Tribal invites people to share their skills, experience and aspirations with us. 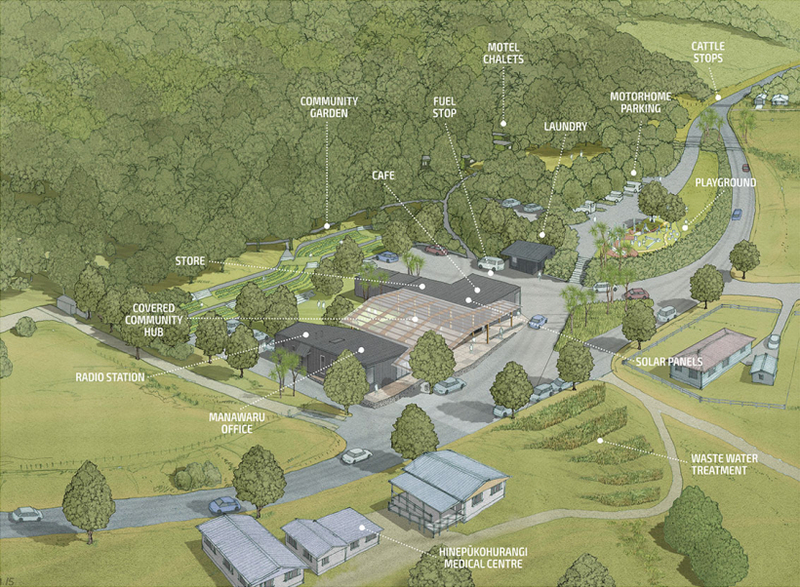 We want to involve Ruatāhuna locals in the creation of this facility so that their expertise, passion and thirst for learning can contribute to a place that is uniquely their own. We encourage involvement from Tūhoe people within the rohe and those wanting to return to their homeland. We welcome the interest from those further afield in Aotearoa and beyond who want to stand behind this kaupapa and bring Te Tii into being. Whether you’re a licensed electrician, apprentice carpenter, school leaver not sure what to do next, budding artist, or you make a jam you think will pull people across the gravel road to the café – please fill out the form below or pick up a form at the Manawarū office and let us know your skills. As opportunities approach we’ll be in touch to see how you might be involved. For inspiration, there is a list of possible streams to be involved in below, but there will also be those we haven’t dreamed of yet. Are you registering interest as an individual or a company? What area, trade or work stream would you most like to be involved in? Are you currently enrolled in a course or other training? What training would you like to undertake? What would you most like to learn by being involved in this project? Do you have Iwi / Hapu / Marae Affiliations? Have you been involved in other Tūhoe building projects? If so, how? Do you have any other experience working with Tūhoe? If so, what? How would you describe your profession, trade or vocation? Do you have any qualifications or certificates? What experience could you bring to the project? What is the greatest skill that you could share with others?